Bordeaux enjoyed its strongest vintage in a number of years in 2015. The warm, dry summer yielded opulent wines built on intense fruit and voluptuous textures. At their best, the 2015s are spectacularly rich, racy wines loaded with personality. But the heat also brought with it a fair amount of challenges. Quality is inconsistent, so readers will have to choose carefully to get most out of what 2015 has to offer. Even before the grapes had been brought in, the hype machine started to get revved up with early reports of a potentially epic vintage on a par with recent standouts like 2005, 2009 and 2010. If any region needed a boost, it was Bordeaux. No vintage since 2010 had ignited any real interest. After having tasted through many hundreds of wines, it is clear that, while there are indeed some fabulous wines in 2015, as a whole the vintage is not consistently brilliant or outstanding, much less epic. But there are many pockets of true excellence. Most importantly for the consumer, the sweet spot in 2015 is exactly the wines Bordeaux excels in; delicious pedigreed Cabernet Sauvignon and Merlot-based red that offer superb quality and value. The year got started with a very wet winter. Rainfall in January and February was higher than the thirty-year average. By March, things began to change, as rainfall dropped to less than half the historical average for the months of March through June. Flowering was quick and took place under near-perfect conditions, while fruit set was also fast and generous, both of which were quite welcome after the struggles of the preceding vintages. Temperatures rose significantly during June and especially July, which saw extended periods of heat, as opposed to just smaller spikes. By many accounts, it was the hottest summer ever recorded. I spent the last week of July in Bordeaux. By then, the effects of heat stress were evident, especially in younger vines, Merlot in particular, and in sites with less ability to retain moisture. Rain arrived in early August, which gave the vines much-needed respite from the heat. Véraison took place without any major issues. Temperatures backed off to lower than the historical average during September. Rain was also lower than normal, with the notable exception of Saint-Estèphe, which received three times as much rain as is typical. Harvest of red grapes began around mid-month and stretched into October, where fine conditions with cooler than average temperatures and dry, stable weather presented producers with ideal conditions to pick at their leisure. 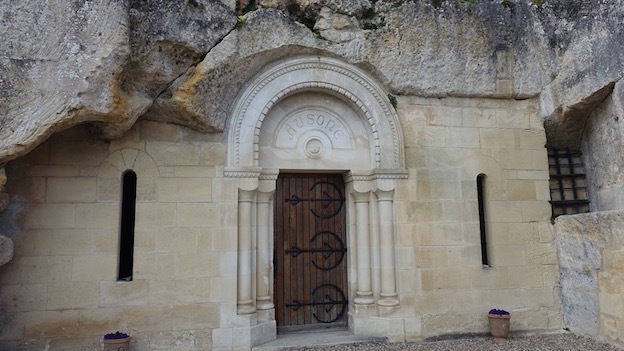 Margaux and Saint-Julien are the clear winners in 2015. Choosing a wine in either appellation is like shooting fish in a barrel, as the saying goes. The drier end of season conditions produced rich, sumptuous yet impeccably balanced wines of the highest level. There are also plenty of compelling wines in Pauillac, but generally quality becomes a bit less consistent as one moves north. It is a mistake to dismiss Saint-Estèphe and the upper Médoc on the basis of the late season rains alone. The wines are lighter in the north, there is no doubt about it. At the same time, there are some pleasant surprises and wines that merit serious attention, especially those grown on well-drained sites. Lastly, Pessac-Léognan, often lost in the shuffle, excelled with both reds and whites in 2015. Over on the Right Bank, the wines are intense and, at times, freakishly concentrated. 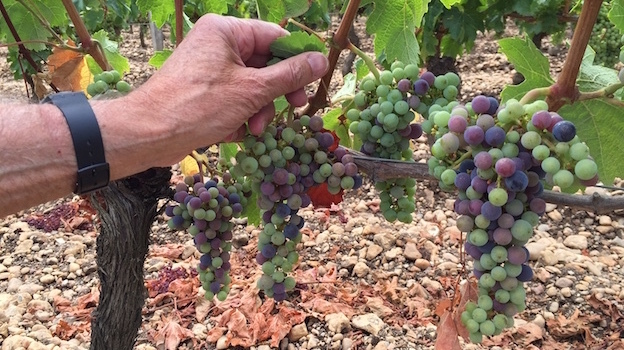 The Merlots were especially affected by the summer heat. As a result, wines often tip the scales at 14% or higher. At times, considerably higher. I don’t consider elevated alcohol alone as overly important, especially when wines are in balance. But that is not always the case in 2015. Many wines are over-ripe and pruny, neither of which I find particularly appealing. 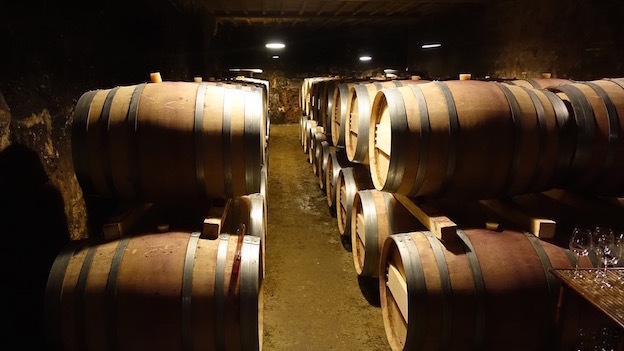 Because of the high alcohols, malolactic fermentations were late to finish, which shows up in some wines that are still raw and not fully formed. Quality-minded producers put the most heat-affected fruit in their second wines, many of which are also Merlot-heavy in 2015. 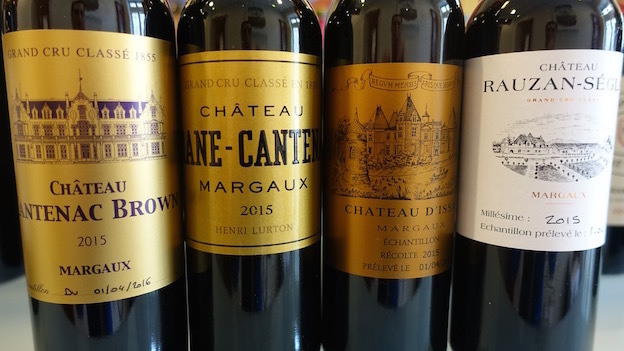 Among the smaller Right Bank appellations, savvy readers should pay extra attention to Fronsac this year. Winemakers are of two minds with the 2015. Some believe the fruit had little tannin, so the wines required more work in the cellar to extract. The much more commonly held view is that the wines were naturally quite rich and easy to extract. A number of producers I spoke with opted for lower temperatures during fermentation and generally less active winemaking (meaning fewer and/or shorter pumpovers or punchdowns as applicable) with the goal of trying to preserve as much freshness as possible. On the surface, a hot year with extreme summer weather might not seem ideal for dry whites and sweet wines, but the August rain and ensuing cooler temperatures during the last few weeks of the growing season turned out to be quite favorable. The 2015 dry whites are aromatic, bracing and absolutely delicious. A handful of wines are already in bottle. The whites I have tasted so far are well worth considering. The 2015 sweet wines of Sauternes and Barsac are distinguished by their gracious, airy personalities. In general, the 2015s are floral, bright and mostly only moderately sweet, which usually means medium in body as well. It is a style I personally like very much. 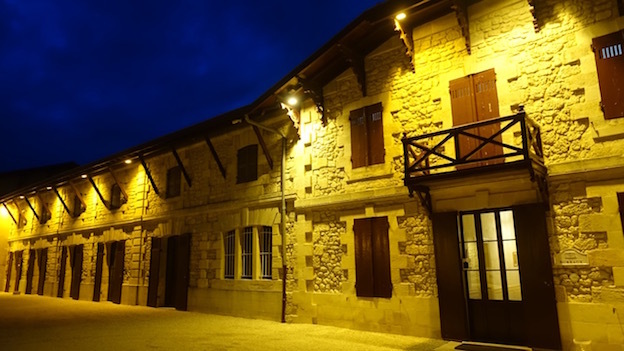 Readers will notice an increasing number of dry whites and second wines from châteaux in Sauternes. The market for Sauternes, and sweet wines in general, is pretty much dead in the water because these wines have a hard time fitting in with contemporary dining trends. Owners are responding by bottling only their best fruit in the Grand Vin. The early picks are now often used for dry whites, the best of which are delicious, while the second labels (of the sweet wines) are excellent choices for readers who find sweet wines overly heavy and/or cloying. Interestingly, 2015 is also a year of firsts for many properties. 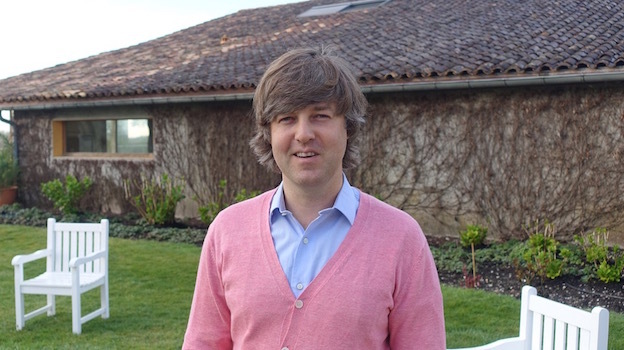 Beauregard, Canon, La Conseillante, Laroque, Petit-Village and Rauzan-Ségla are among the properties that changed winemakers and/or technical directors with the 2015 vintage. Two thousand fifteen is also the first vintage the Château Latour Grand Vin was made from biodynamically farmed fruit. Bordeaux is the only region in the world where quality and price are discussed in the same breath. For better or worse, Bordeaux is also the most commercial wine region in the world. The big question is pricing. Where will it come out? Most négociants I spoke with are expecting increases of 5-15% over 2014. The only moderating influence that might help keep prices in check appears to be yields, which, globally, were generous. While the best 2015s are superb, who will buy them is another question. I saw very few buyers from Asian countries in Bordeaux this year. To be fair, château owners told me visits from Asia were in line with prior years, although I did not personally see that. The Brits, typically big supporters of Bordeaux, have seen their currency depreciate around 10% versus the euro over the last year over concerns of a possible exit from the European Union (the so called ‘Brexit’). If prices increase by 10%, the net effect to the British consumer is an increase of 20%. It doesn’t take a genius to do the math. That means the US, Canada, continental Europe and the Middle East might be the strongest markets for the 2015s. We will see. What is obvious, beyond obvious, actually, is the huge image problem that continues to plague Bordeaux. In the eyes of many consumers, Bordeaux still projects an image of greedy owners and nosebleed prices. Forget about the top 20-30 wines. They are mostly terrific, and they will almost always be good, if not quite a bit better than that. But very few consumers can afford those wines anymore. Most importantly, those wines are not the real Bordeaux. The real Bordeaux is a region that produces a truly remarkable, seemingly endless number of fabulous wines that the consumer can still afford. Whatever your budget – under $25, under $50, under $100 – no region in the world comes close to matching Bordeaux for pedigreed red wines that are also relatively easy to find. 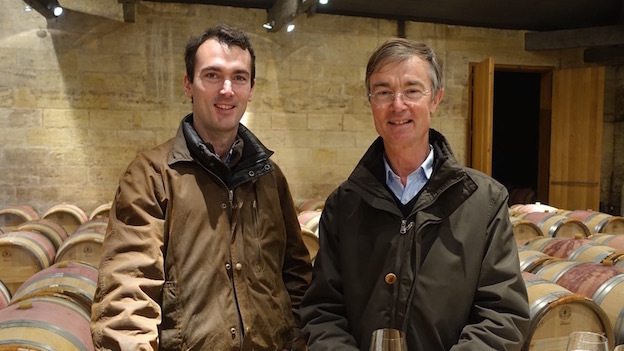 I started tasting the 2015s in late January, when I spent a few days in Bordeaux just to get an overall feel for the vintage. At that time, the wines were in various stages of aging. Some were in separate, unblended lots, others were in early, pre-blends and some wines were still finishing their malolactic fermentation. I spent two weeks in late March and early April tasting through the 2015s in various settings. That said, there is quite a bit of variation in en primeur samples. None of it has to do with location. For starters, we are talking about wines that are just about six months old. The freshness of samples is critical. Small changes in weather conditions, especially atmospheric pressure, can result in wines showing very differently. The amount of sulfur in samples is another factor. I have also noticed that samples prepared in standard 750-ml bottles almost always show better than those presented in 375-ml bottles. (Did I mention I hate half-bottles?) For all of these reasons, I made every effort to taste as many wines as I could two, three or even four (or more) times. Given that the weather was highly unstable this spring, tasting wines more than once was absolutely essential. Quality and style are not the same thing. This is something my professors at university – music school to be exact – drilled into to me every single day for four years. Great wines are made in all styles. As are poor wines. Like a well-made suit or dress, a wine has to fit. In this case, the wine has to fit its site, the place where it is made. Some sites can mature grapes and tannins at lower levels of alcohol, and some sites need to be pushed a bit more to achieve optimal results. When a wine is in balance, nothing sticks out. When a wine is not in balance, plenty of things stick out. This is why readers will find wines with high (and low) scores across the entire stylistic spectrum. It’s been a rough few months for the world of wine. We have lost a number of very fine people, some of them far too early. Paul Pontallier and Denis Malbec were two of the most consummate professionals I have ever met. 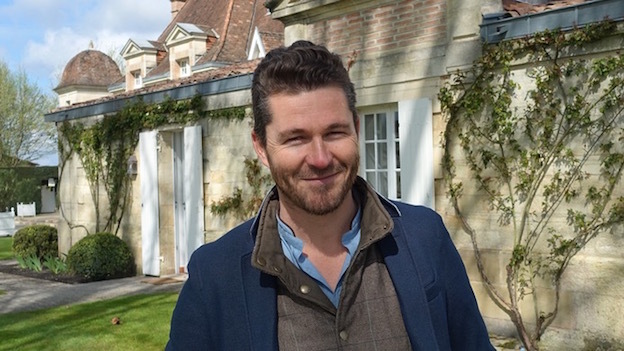 Pontallier was the Managing Director at Château Margaux and the person credited with bringing quality to the level it is today. Malbec inherited the winemaking mantle at Château Latour from his father and grandfather before leaving the life of long-term security to make his own wines and run a highly successful consulting business with his wife, May-Britt, in Napa Valley. Despite their significant achievements, both men were down to earth and incredibly humble. I feel fortunate to have spent time with them. Hopefully I learned a few things along the way, too. None of what you are about to read would have been possible without the contributions of many, many people. I am sure the tasks of scheduling hundreds of appointments and preparing countless samples can be both thankless and tedious. I would like to thank everyone who worked behind the scenes to organize my tastings. Your efforts are noted and deeply appreciated. I would especially like to thank the château owners who made their wines available in more than one setting. Because of the large number of wines in this article, a few additional reviews (mostly whites, Sauternes and entry-level reds) will be added in the coming days.